St. Joe's has been a part of Buffalo history for 150 years. From its modest beginning in 1861 in a small building behind St. Joseph's Cathedral to its sprawling campus on Kenmore Avenue, the Christian Brothers school has been a prominent contributor to the educational landscape. 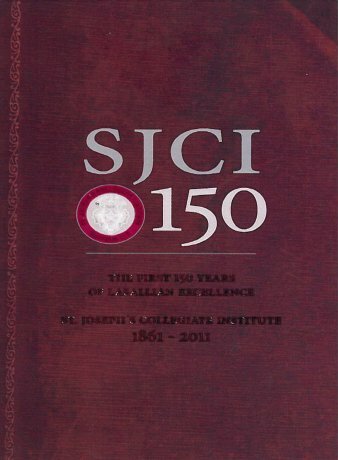 On the occasion of its sesquicentennial year celebration, the proud legacy of St. Joe's is documented in this book. The Christian Brothers have always been noted for their demanding academic curriculum and rigorous discipline. This story is documented with narrative and photographs. Read about some of the school's more prominent alumni, outstanding athletic teams, the visual and performing arts and the other extracurricular activities that make St. Joe's the great school it is today. The story is told in a 230-page book in 13 chapters. The book includes about 150 vintage photographs, important documents and newspaper clippings that chronicle that this impressive story. Featured time periods include the early days before 1900 as annually reported in the Brothers' Chronicles, the Roaring 20's, Depression and WW II years on Main Street and the more recent era of prominence and growth on Kenmore Avenue.